Vitamins & MineralsAmix Super Pack Vit&Mineral - 30 sasz. 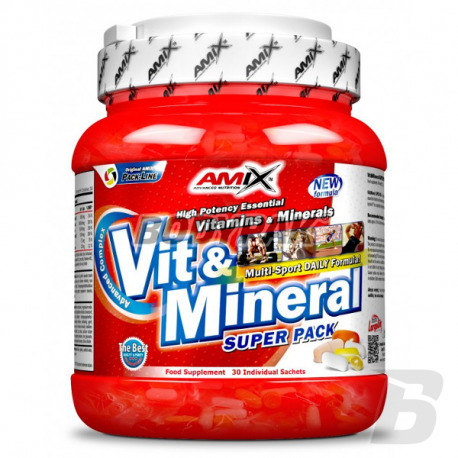 Amix Super Pack Vit&Mineral - 30 sasz. It is an advanced product vitamin-mineral, through which will complete all of your deficiencies of micro and macro elements. Convenient form of sachets, so that you will always have at hand an appropriate portion. 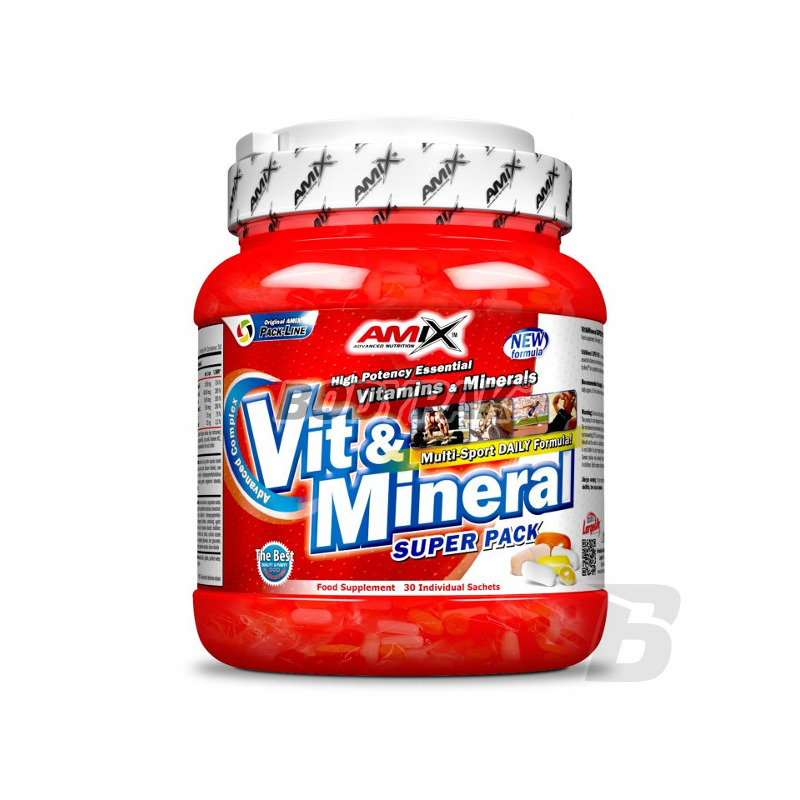 Vit&Mineral SUPER PACK is an advanced complex of the most essential vitamins and minerals that has been specially developed by AmixTM for competitive bodybuilders and strength athletes. Vit&Mineral SUPER PACK is a complete and solid foudation of your supplement program and it is absolutely essential for any of your fitness goals. Take the content of one sachet daily approx. 30 min. before meal prior to your workout. Trochę drogo, ale jakość to wynagradza.